Rehabs.asia provides information and resources to anyone suffering with substance abuse or behavioral disorders – including friends and family members of those facing addiction. We believe that the work we do should benefit individuals seeking help for addiction and the entire addiction treatment community in Asia. 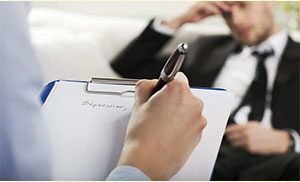 By giving advice on the available options for treating addictions and behavioral disorders, we can help you to connect with the most suitable treatment setting based on your unique needs and circumstances. This is made possible through our association with the Addiction Friend recovery network and their representatives. There is no cost associated with using our service – we just ask that you share your experience with us so we can maintain high standards and provide the most up-to-date information to the next person we help. The information we provide is not intended to replace any medical advice you have been given, but rather to supplement any support you accept from medical professionals. Rehabs.asia was born from a vision to be the leading provider of accurate and independent information about addiction treatment and recovery services in Asia. The facility listings and resources available through the website are designed to help those struggling with addiction by connecting them with treatment programs and facilities that can help achieve lasting recovery. We are constantly reviewing the criteria for recommended treatment providers and aim to maintain high standards within the addiction treatment industry as a whole. Rehabs.asia is developed and maintained by Comadore Group. We maintain editorial autonomy over the content and remain unbiased with respect to facility data, reviews, ratings and comments provided by alumni and treatment facility staff members. Find answers to common questions or contact us if you want to know more about Rehabs.asia or addiction treatment services in Asia.